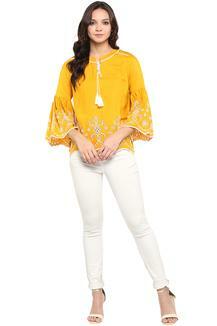 Channel smart looks in your casual wardrobe with this top from Rocky Star. 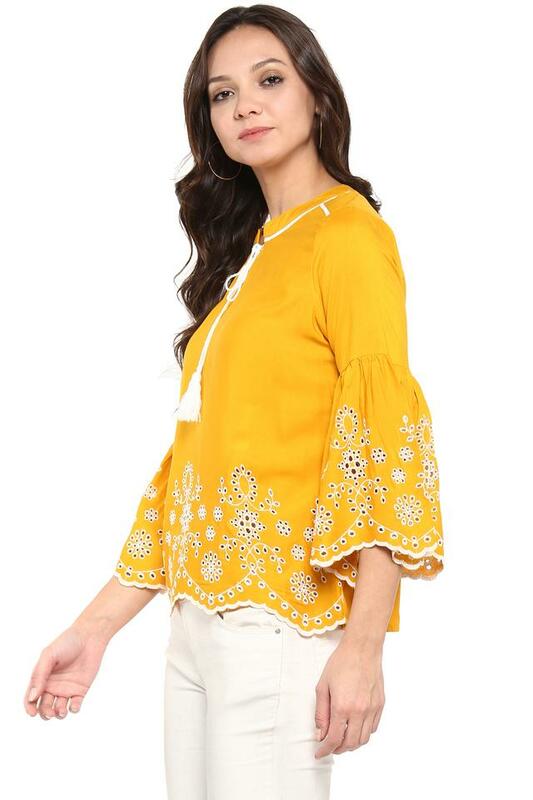 It features a perforated pattern that renders it smart, while the use of a good quality fabric will provide you with utmost comfort. 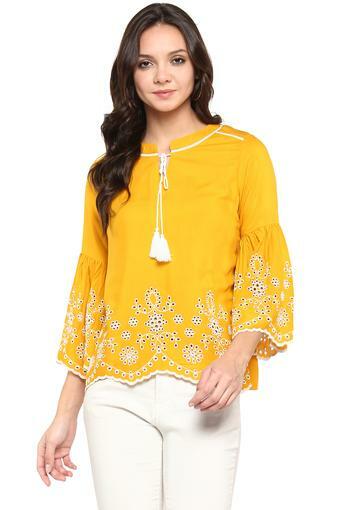 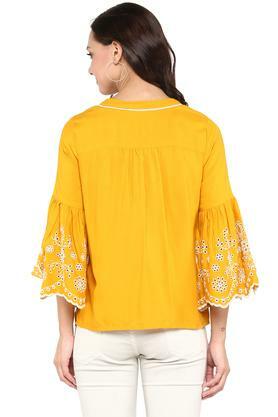 It also comes with a tie up neck and bell sleeves that further add style to its unbeatable comfort quotient.